The man’s relationships with his parents is examined against the context of his eating disorder. Former restriction gives way to a loss of control, which overwhelms the man. 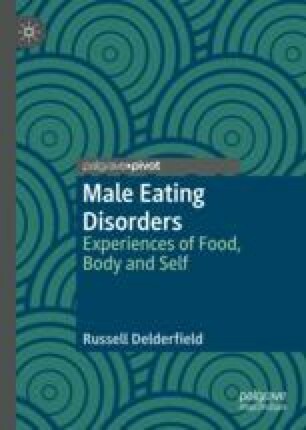 The self as a battleground with others and the disorder is considered and the eating disorder-as-coloniser of the man’s body/self is developed from Campling’s work, including the role of power. The foundations are laid for debate between the concepts of gender role conflict and ambivalent masculinities that feature in the book’s conclusions.